Follow the White Bunny: The Most Excellent Party Bear pattern for a Most Excellent Introduction Price! The Most Excellent Party Bear pattern for a Most Excellent Introduction Price! Thank you for all the likes, hearts and sweet comments about my new Most Excellent Party Bear pattern on Twitter, FB and here on my blog! I must admit that this pattern is one of my personal favourites too! If you need this Excellent Bear in your life too (of course you do!) you can now get the PDF pattern for the special introduction price of $4 (regular price $5) until October 16th. The pattern includes a stitch and colour key as well as further tips for embroidering the pattern. As I was stitching this pattern I thought it would be a great gift for newly weds (add the initials to the balloons and a heart for example) or newborns and children (with not too long names). 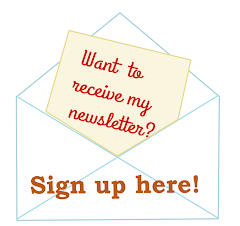 Can't wait to see your variations on this pattern! 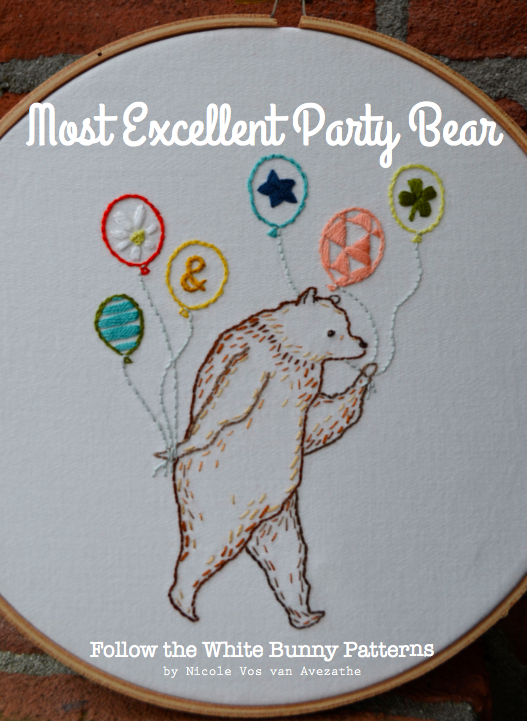 Most Excellent Party Bear PDF pattern is available in the Follow the White Bunny shop and here. Oh so adorable and fun! I agree, letters in the balloons would be super cute! And there's room to add a balloon or two if needed for longer names.